Dietary supplements and bodybuilding have been demonized by researchers at the University of Minnesota. Marla Eisenberg, an assistant professor in pediatrics at the University of Minnesota School of Medicine, and her colleagues surveyed 2,793 adolescents at local middle and high schools in the Minneapolis-St. Paul metropolitan area. The students were asked about certain “muscle-building” behaviors including anabolic steroids and dietary supplements. The headline-grabbing result that was widely mentioned involved the prevalence of anabolic steroid use among adolescents. Surprisingly, the rate of steroid use by girls (4.6%) approached the rate of steroid use by boys (5.9%). The ambiguous nature of the “steroid” question has been questioned. The researchers assumed that respondents would likely interpret “steroids” to mean “anabolic steroids.” Unfortunately, many adults, much less children, are unaware of the fact that not all steroids are “muscle-building”. The use of cortico-steroid is relatively common even among teens; however, cortico-steroids are not anabolic but highly catabolic and can result in muscle breakdown. It is possible that users of cortico-steroids mistakenly responded affirmatively to the steroid question. The use of anabolic steroids is truly an “unhealthy behavior” for adolescents to engage in. But researchers went even further and attempted to demonize other relatively innocuous muscle-building behaviors as well. 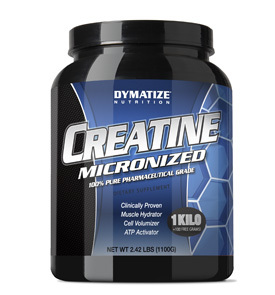 The use of “protein powder” and “creatine” was also defined as an “unhealthy behavior”. To the researchers, it was not a matter involving the misuse of these supplements. Any and all use was deemed unhealthy. Some of Eisenberg’s public comments to the media even demonized the mere pursuit of muscle. The complete survey results were detailed in an article entitled “Muscle-enhancing Behaviors Among Adolescent Girls and Boys”. The article was published in the November 19, 2012 issue of Pediatrics, the official journal of the American Academy of Pediatrics. Army Sgt. Robert Bales Tested Positive for Anabolic Steroids Three Days After "Kandahar Massacre"